2017 has arrived! What does that mean? Getting used to writing 17 instead of 16 (it'll probably take me a good month to stop messing that up). And a new freebie from me to you! I have quite a few friends working on bilabials this year, and I wanted to create something engaging and fun for them. 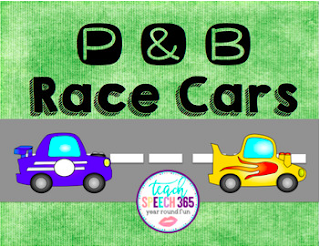 Enter P & B Race Cars! 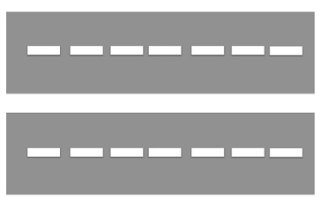 Laminate the road pieces and tape together to make one long road piece. 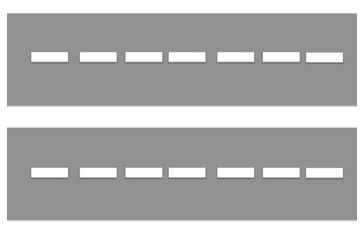 You can affix Velcro to the cars and the road if you want or just have your students place the cars on the road. There are 12 cars each for /p/ and /b/ initial and final words. Yellow cars are /b/ words and blue cars are /p/ words.